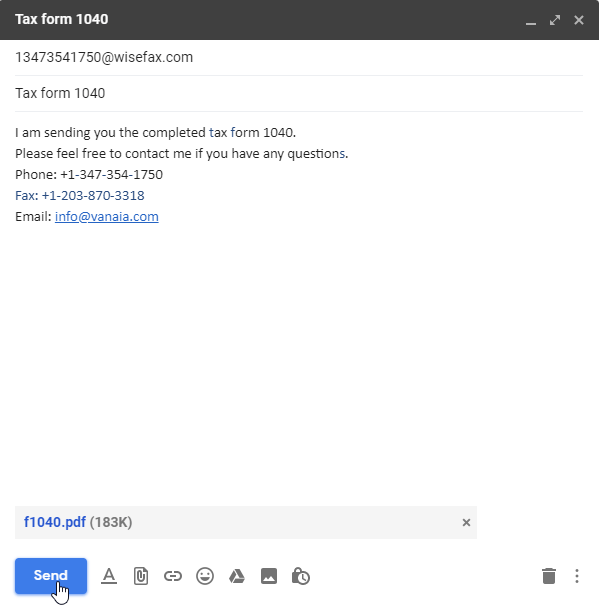 How to send fax from email? Sending a fax is impossible, if you do not have a fax machine. But, how about to send fax from email? Luckily, you can send fax from email using an email to fax service. WiseFax email to fax service is a perfect solution, because it allows you to fax documents quickly, easily and securely using an email. Also, you don’t need a subscription to send fax from email using WiseFax email to fax service. Attach one or more files that you want to fax. WiseFax supports a large set of document formats, so you do not need to convert your documents before faxing. 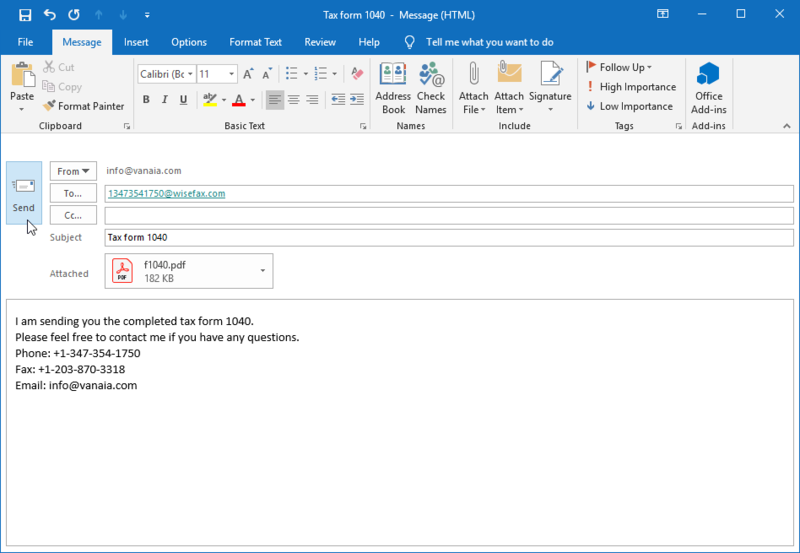 Simply attach PDF, Microsoft Office, Apple iWork, LibreOffice, OpenOffice, Hancom Hangul, ScanWritr documents, or JPEG, GIF, PNG, BMP bitmaps and scans to your email. With WiseFax it is so easy to send an email to fax! Including a cover page to your fax is easy, too. Your email’s subject line will automatically become cover page’s subject, and email’s content will become the cover page’s message. If you do not want to attach the cover page, just leave the email’s subject line empty.